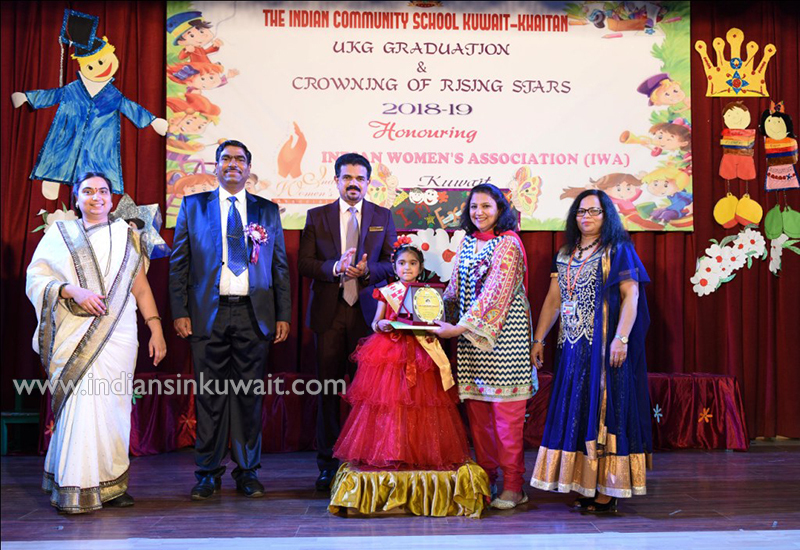 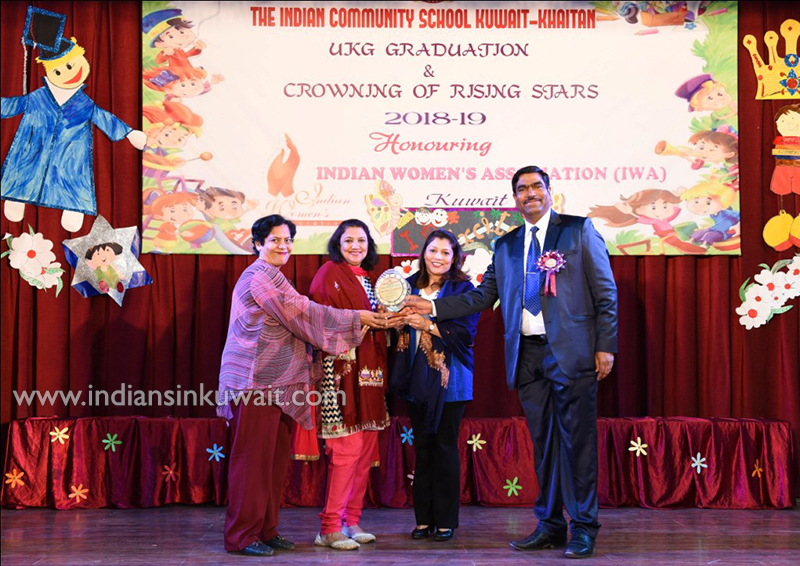 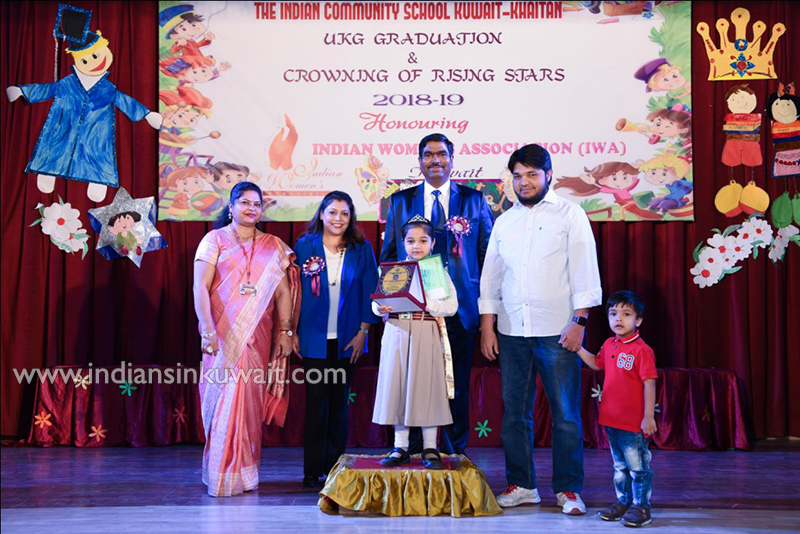 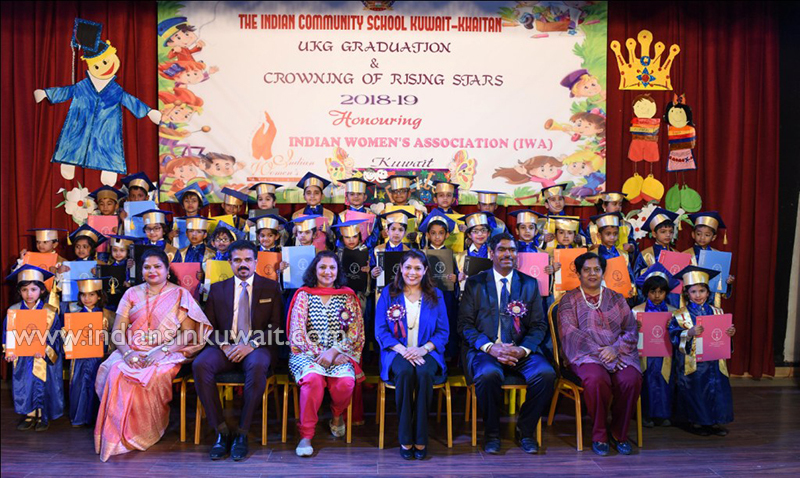 The Indian community School Kuwait-Khaitan bubbled with excitement and enthusiasm when it celebrated its UKG graduation day and the crowning ceremony on Thursday, 14th March, 2019. 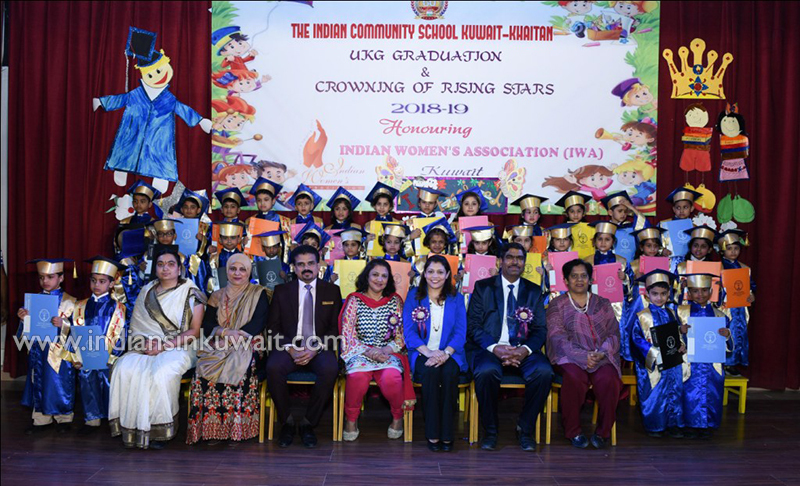 Kindergarten graduation is a celebration that marks the journey of a child to a School in which they will be spending 10 long years facing ups and downs and experimenting and exploring new ideas and things and shaping themselves in to tomorrow’s world. 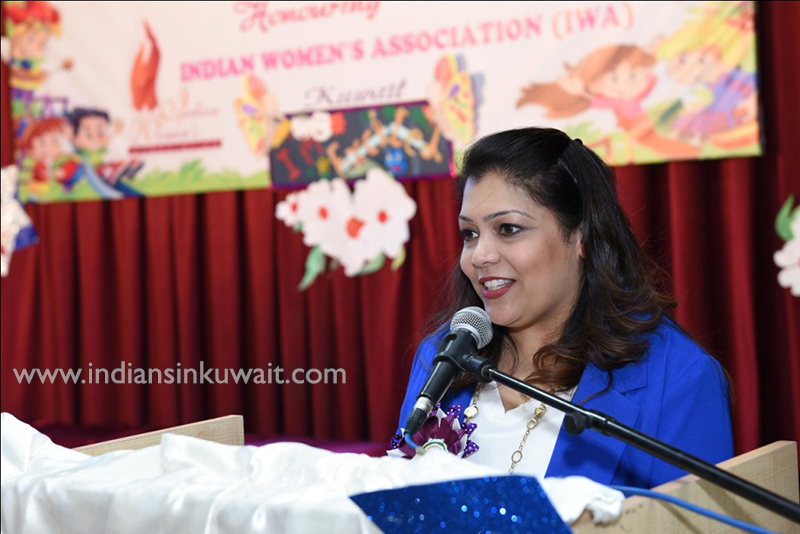 The proceedings started with the recital of verses from the Holy Quran followed by the National Anthems of Kuwait and India. 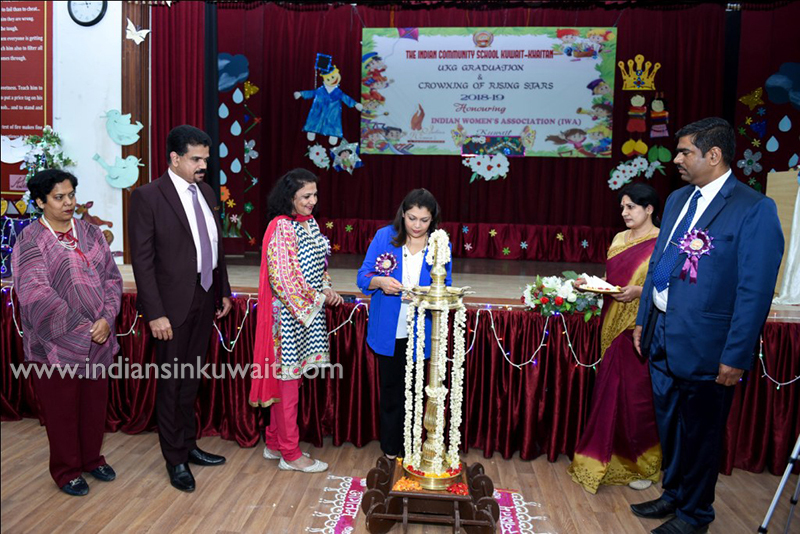 The event commenced with the lighting of the lamp by the guest Mrs. Nita Bhatkar Chogle and Mrs. Muneera Mallu from Indian Women’s Association (IWA).